An elegantly simple cashbook that is ideal for cash-based organisations, such as small business, clubs, societies and not-for-profits. Easily record all your payments & receipts, manage sales tax, and produce professional income and expenditure reports. List views provide powerful searching and sorting, making it easy to find key information. 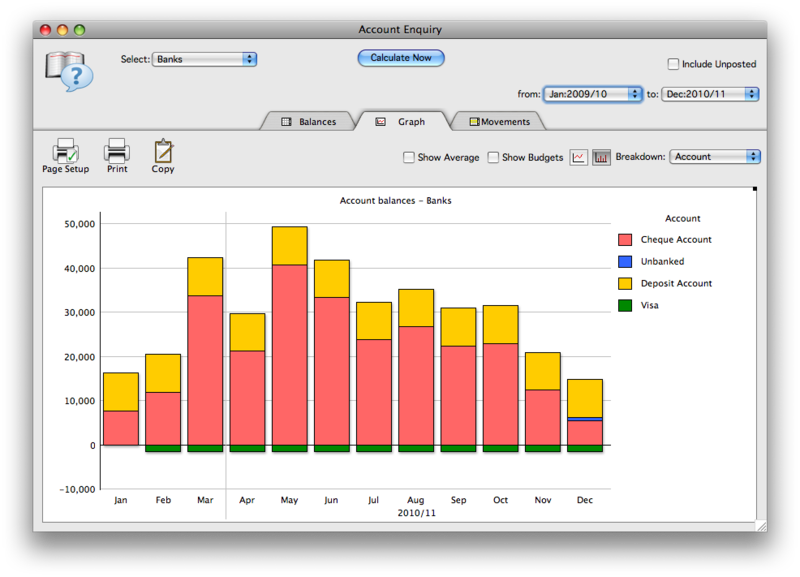 Enquiry screens make it easy to view balances and trends for accounts, customer or item sales. Keep accounts for as many entities as you need—there is no additional cost to run additional companies. 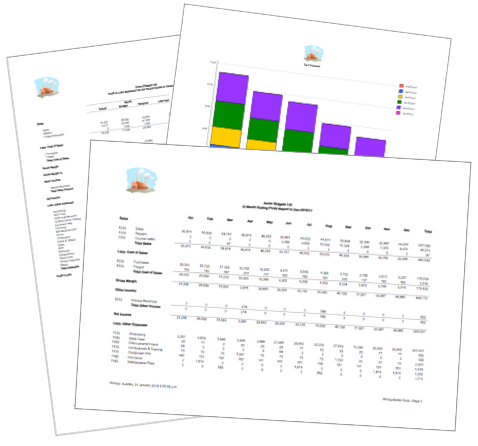 MoneyWorks Cashbook 8 is now available as a free subscription. Every month from that date your subscription will be automatically renewed at no charge. MoneyWorks Cashbook is a free subscription, so you do not need to register your credit card with us. No support is included for Cashbook - if you need support you will need to register your credit card. Note that, as with all subscriptions, MoneyWorks will occasionally check back to our server to check your subscription status. For this reason you need to have internet access every ten days or so. If you suspend your subscription, your MoneyWorks Cashbook will stop working. Simply renew the subscription for continued access. 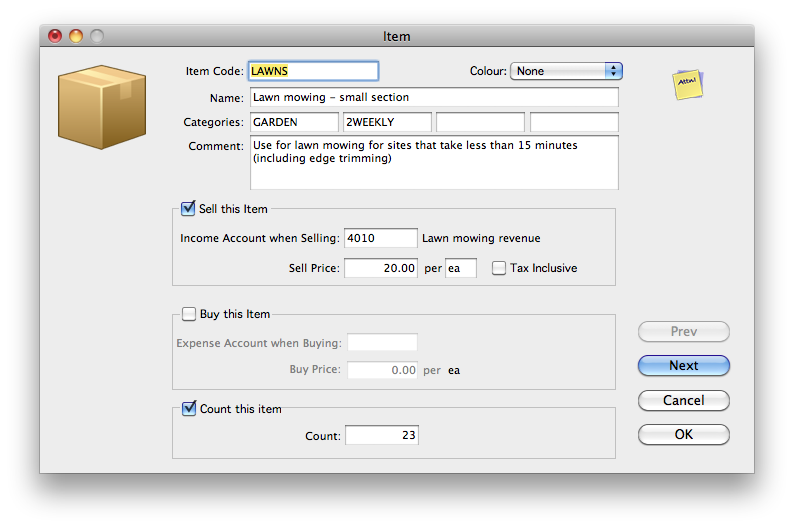 Configurable importing for transactions, names, items, accounts using Copy/Paste into lists. Easily export from all main database lists using Copy. MoneyWorks lists provide fast, easy access to all your data, with powerful searching and sorting. Manage your transactions, accounts, customers/suppliers and items in easy to use lists. The list searchbox provides fast text searching. Sort lists by any column, or combination of colummns. Reorganise columns so you get to see the information in the way that suits you. Add or remove columns, to see just the information you need. Print lists as shown on screen, with optional subtotals. Use list filters to store and retrieve common searches. MoneyWorks presents all your vital information in lists, which can be easily searched or sorted. No more flicking through a series of screens to find things—just type a word or phrase into the search box and only transactions that contain that text will be displayed. Customers, items and accounts are also displayed in these easily accessible lists. The simple, clear transaction entry screens in MoneyWorks are designed for fast, accurate input, and include features like autofill lists to speed up entry and ensure consistency. Transaction entry screens are configurable—you can show or hide additional fields, and even alter the tabbing order. 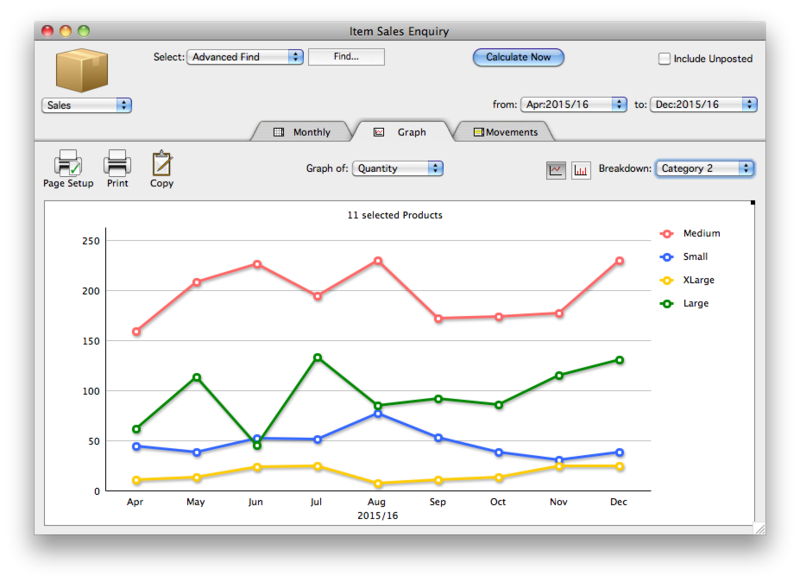 The enquiry screens in MoneyWorks display balances and charts of nominated accounts, items or customers, allowing you to easily see trends. Drill down to see the underlying transaction information—a feature your accountant will also appreciate. There's much more to Cashbook than just the headline items above. 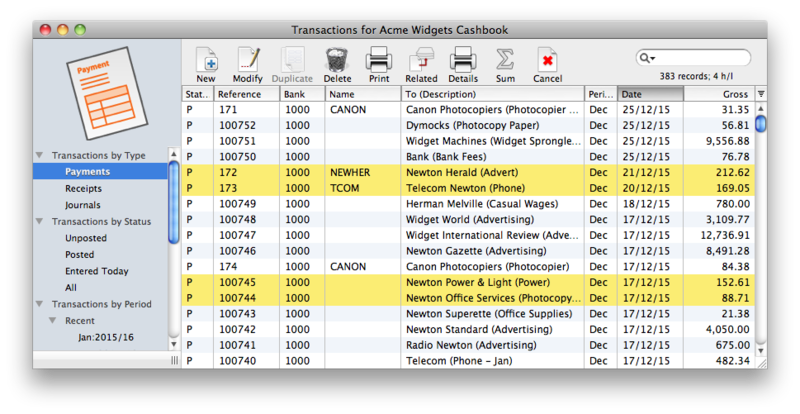 Features like stickies, unicode, and a large library of included reports make Cashbook a truly standout system. And all these features, plus more, form the basis of the the more advanced MoneyWorks versions. So, if Cashbook doesn't meet your requirements, have a look at MoneyWorks Express. Then you’ll need to consider MoneyWorks Express or Gold. Send and receive invoices, manage payables and receivables. 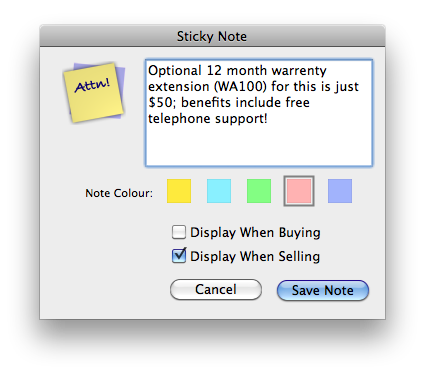 Design your own invoices and statement forms. 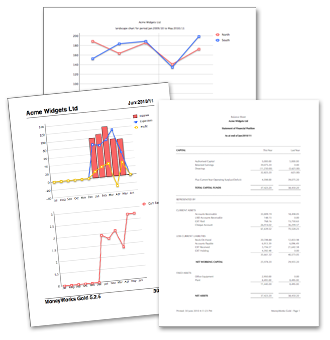 Create simple custom reports to better analyse your data. Full order-entry and quoting, with inventory and stock.